When it comes to your kitchen, you want timeless looks and peerless performance capable of preparing the comfort food you love.. Our appliances have been classics since 1945. Too much eating out these days – reclaim your kitchen and enjoy time with your family. 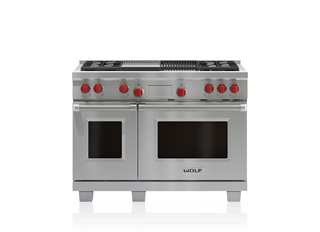 You can fix all your traditional favorites on the Wolf 48" dual fuel range: dual stacked gas burners up top deliver precise control from sear to simmer, while the dual convection oven provides even heating, beautiful browning of roasts, casseroles, artisan breads and more. Sub-Zero Built-in refrigeration offers generous storage and advanced food preservation features for the fresh, locally grown or raised foods you love – the ones that are a must for the traditional recipes you favour. 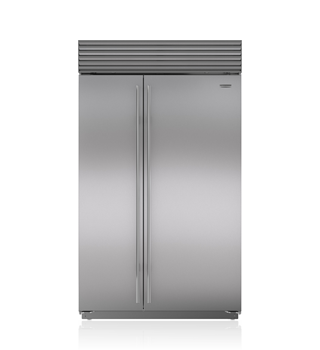 Choose classic stainless steel, or finish your fridge in decorative panels that match your preferred cabinetry style. You know a thing or two about wine pairings – and the proper temperatures for serving Bordeaux, pinot noir and the other varieties you favor. 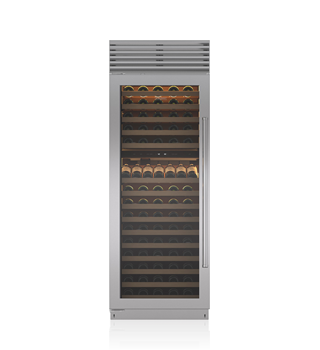 Sub-Zero 762mm Built-in wine storage preserves the character and complexity of wine, and has two temperature zones so both reds and whites are properly chilled.